McDonnell's tip jet autogyro, the XV-1, was powered by a single 550 hp Continental R-975-19 nine-cylinder radial piston engine. 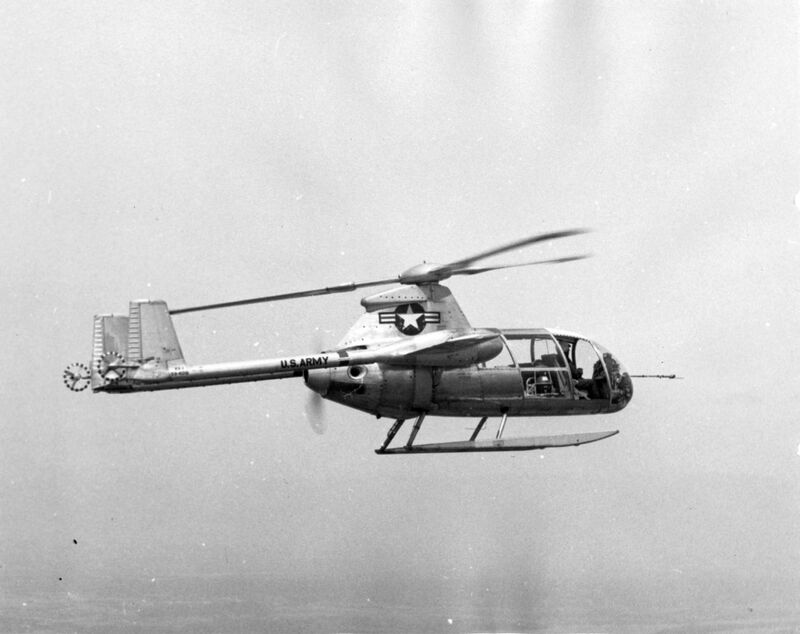 It drove two air compressors to power the 31 ft three-bladed rotor for vertical lift, and powered a 6 ft diameter two-bladed propeller mounted at the rear of the fuselage for forward flight. 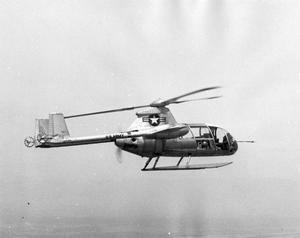 A small rotor at the end of each tail boom provided yaw control. Overall length was 50 ft, with a 26 ft wingspan. Empty weight was 4,300 lb which increased to a maximum gross weight of 5,500 lb. First tether test was in 1954, with the first free flight on 11 February of that year. First transition to horizontal flight was on 29 April 1954. The second of the two aircraft was damaged in autorotation testing in December 1954. On 10 October 1955, the XV-1 exceeded contemporary rotor-wing speed records by hitting 200 mph. With conventional helicopters improving their cruise speeds, however, the program was canceled in 1957. 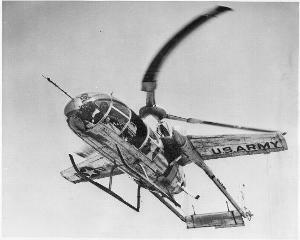 Resources related to the XV-1 , provided by the Vertical Flight Society. Resources related to the XV-1 , provided by public sources across the internet.